Hungama Digital Media Entertainment Pvt. Ltd. is a leading aggregator, developer, publisher and distributor of Bollywood and South-Asian entertainment content. The digital media company, based in Mumbai, India, has partnerships with over 400 content creators, record labels, studios, broadcasters, and game publishers, and has licensed, worldwide exclusive digital rights to more than one-half million music and video titles. Hungama delivers content to consumers in 47 countries across mobile, Internet, and Internet protocol television (IPTV) services, and has more than 150 partners across the world. Before migrating to AWS, the company ran its servers in local data centers. This solution soon became expensive, time-consuming, and inefficient. Hungama wanted to turn projects around quickly but old equipment caused delays in implementation and service launches. In 2008, Hungama migrated to AWS to take advantage of the cost effectiveness, flexibility, and fast time-to-market offered by the cloud. “Our migration to AWS in 2008 reduced IT costs considerably,” says Amit Vora, CTO for Hungama. The cost savings allowed Hungama to focus its engineering resources on getting products and services to market more quickly. The company began to grow rapidly, but as more internal teams started using AWS, its monthly costs also grew. Hungama’s infrastructure team engaged AWS Support to help them find ways to optimize costs. As a content provider and aggregator, Hungama requires enormous amounts of storage. The company uses Amazon Simple Storage Service (Amazon S3) to host more than 60 TB of content. For server and storage management, Hungama uses Amazon Elastic Compute Cloud (Amazon EC2) and Amazon Relational Database Service (Amazon RDS) with Amazon S3. The flexibility of the AWS solution enables the Bollywood moviemaker to develop applications on multiple platforms and programming models including Java, PHP, .NET, Oracle, MySQL, and SQL technologies. 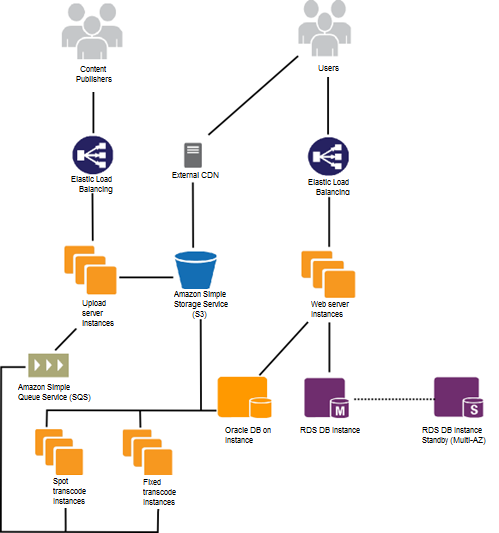 Figure 1 demonstrates Hungama’s architecture on AWS. As an AWS Support, Enterprise-level tier customer, Hungama has access to AWS Trusted Advisor, which customers can use to audit their AWS usage against known best practices. AWS Trusted Advisor identifies opportunities to save money, improve system performance, and security. Hungama used AWS Trusted Advisor to run Cost Optimizing checks, which audited Amazon EC2 instances and Amazon Elastic Block Store (Amazon EBS) volumes in Hungama’s environment. Based on the results of the audit, Hungama worked with the AWS Technical Account Manager (TAM) assigned to its infrastructure team to review and implement the recommendations identified by the audit. The Underutilized EC2 Instances check looks at the instance utilization history and recommends optimization strategies based on instance type. Results indicated that some of Hungama’s development teams were over-provisioning instance sizes, which were running at very low utilization. Additionally, the audit revealed that development and test servers spun up for special projects were not shut down once the projects were finished. The audit team used this information to select the right instance size for oversized instances. They also categorized production and development servers and automated the process of shutting down development servers during non-business hours. Prior to running AWS Trusted Advisor, Hungama had purchased Amazon EC2 Reserved Instances. The Reserved Instance Optimization check, which looks at billing and instance utilization history, identified additional opportunities for optimization. After reviewing data from the check, Hungama decided to reserve production and development servers for heavy and medium utilization based on instance. Hungama used the Underutilized EBS Volumes check to review utilization history for Amazon EBS volumes. The check identified a number of unused or underutilized EBS volumes that were often leftover from previous test projects. The check also highlighted volumes that Hungama was paying for but not accessing regularly. As a result, the audit team created snapshots, which they stored on Amazon S3, and then deleted the volumes. This action also resulted in a reduction of over 90% on the number of snapshots generated weekly. Working with the AWS TAM, it took Hungama’s technical team less than 4 weeks from the initial report presentation, review, and implementation, to complete the optimization. The audit team reviewed updated Trusted Advisor reports extensively to determine if the optimization work was having the desired impact. According to Hungama, the flexibility of the pay-as-you go model and cost savings resulting from cloud computing is a crucial competitive advantage because it allows the company to focus on innovation and time-to-market. “Using AWS enables us to accelerate our innovation process and speed-to-market in rolling out our services worldwide. The flexibility to scale both up and down, and not sit on unneeded, excess capacity at any time has really enabled us to cater to the sudden spurts in business in a timely fashion,” says Vora. By implementing the results of the AWS Trusted Advisor audit, Vora says, “We estimate an average 33 percent monthly savings on our total AWS spend from Q4 2012 to Q1 2013. We will continue leveraging the features and checks of the AWS Trusted Advisor to keep optimizing our infrastructure and costs on AWS.” After the savings realized from the initial audit, Hungama plans to continue to work with AWS Support to implement AWS Trusted Advisor recommendations for hardening, extending fault tolerance and improving performance of its environment. To learn more about the levels of support that AWS offers, visit: http://aws.amazon.com/premiumsupport/.